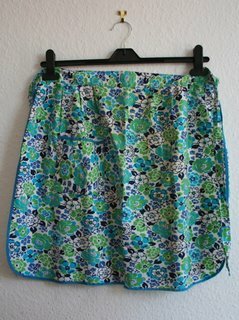 I restrained myself from buying a very pretty vintage apron today. I regret it now. I don’t have space, having just acquired a pile last month. 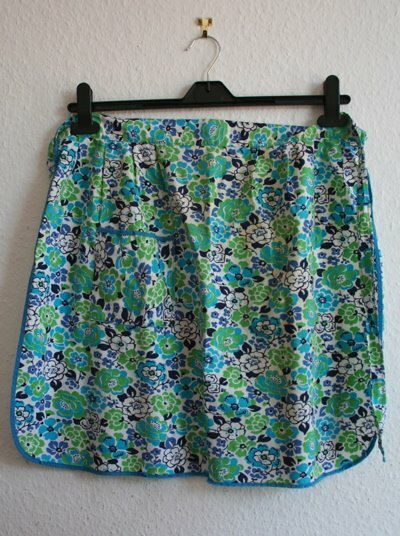 Here is my current favourite. It’s old, stained and worn, but I love it! I’ve had yet another weekend off, which makes me panic on a Sunday night, so I have been working on my press mailing list which is important but far from exciting. Tomorrow I have the excuse of going to the shops and buying loads of magazines to check the information. Then I will have to load them all up in the car to take on holiday next week. I am at last having a proper week off, the first since last July, and I am really looking forward to it. My holidays have an element of surprise about them, so i will also keep it secret here until I get back. 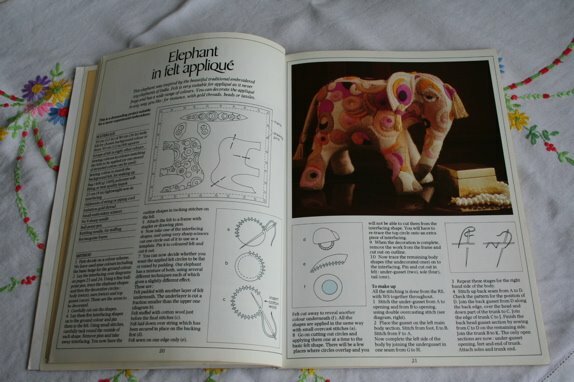 I’ve at last put some new images on Flickr, including some of the delights found in old sewing books that I bought last week, including this adorable elephant. He remind me so much of one I made in primary school and still have in a box somewhere. 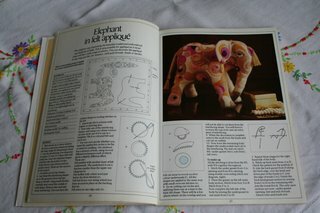 He was flat, made of two elephant-shaped pieces of felt, in pink (I haven’t changed much!) with an orange blanket on his back. I’m still very fond of him. I must think about animals I can make in workshops with kids. It should be simple enough (so guaranteed not to be!). Maybe monsters, or creatures they can design themselves! I’m off on creative thoughts, I will report back on this plan! And as for the fried egg pincushion…. well, I am almost lost for words. 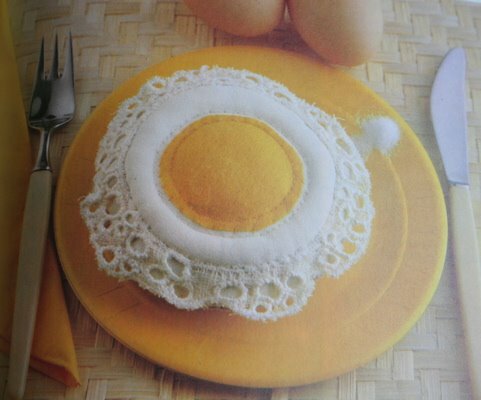 One of the curious results of getting involved in this blogging world, is that I have opened my eyes to all manner of strange old textile stuff that I would have avoided completely before. I’m not sure if this is a good thing, but it’s entertaining at least!